Designed to look, feel and function like the original, the Umarex® Walther PPS M2 will keep your shooting skills sharp without spending a fortune on ammunition. True-to-life Replica zings BBs downrange at 340 FPS, with realistic blowback action and extreme accuracy. Includes 18-round magazine. 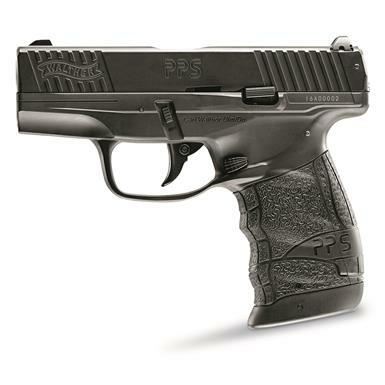 Umarex Walther PPS M2 CO2 Blowback Air Pistol, .177 Caliber is rated 5.0 out of 5 by 1. Rated 5 out of 5 by Stahley from An Awesome Training Tool I purchased a set of tools to build my daughter a “Field Box", to provide her the gear I felt she needed to keep her, and our two young grandchildren, safe. That kit included the “Umarex” brand, Walther, PPS-M2, CO2 powered, SAO(Single Action Only), Blowback air pistol, (item #WX2-704969). The pistol completely exceeded my expectations. 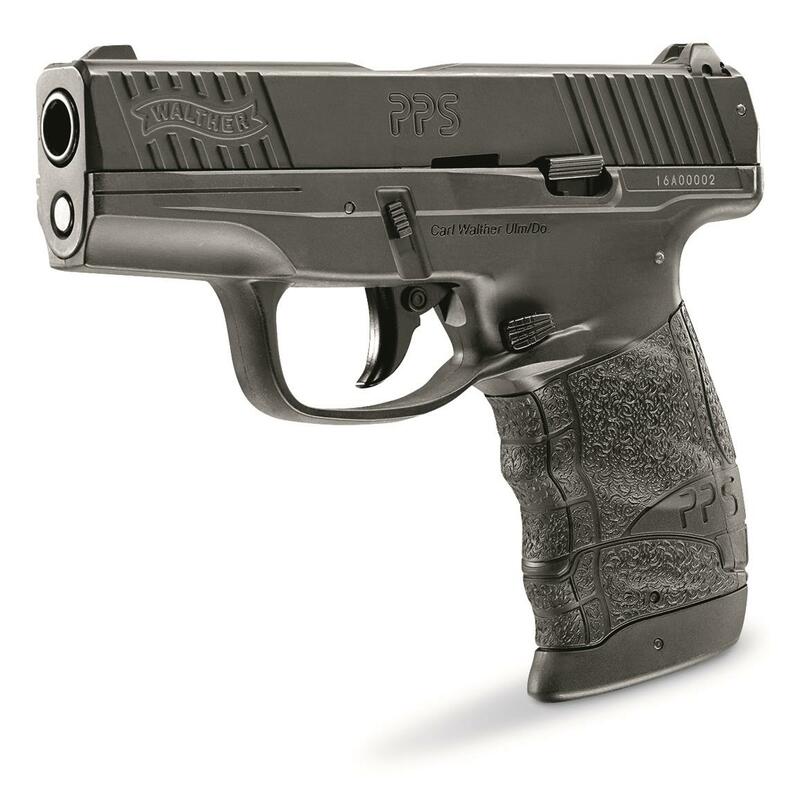 The quality of the materials the pistol was made of and the fit and finish, was simply outstanding. The pistol had the appropriate weight, was wonderfully balanced. As to the drop free magazines, both the one (1) that came with the pistol, and an additional magazine I purchased (item #WX2-704970 ), were well made, of good materials and held the eighteen (18), .177 caliber steel BB's like (item #WX2-633707). The magazines have a small tab, on the left side, that allows the magazine spring to be collapsed and held back in a notch, which allows the magazines to be loaded, under no spring tension. The low, no-snag, three dot, sights, are accurate, in that the Point of Impact (POI) is consistent with the Point of Aim (POA), from the 15 foot distance, I fired from. I chose this model of air pistol because the “blowback" function, to serve a critical function. When teaching a new Shooter the proper grip of a Semi-Automatic, it is different, than the proper grip of a Revolver. The pistols “blowback" feature makes the danger of “slide bite” real, and yet minimizes the chance of injury. Also, I found the safety, located just behind the “trigger shoe" as part of the trigger, was stiff and lacked the positive “snap" I hoped for. When I initially received the pistol, I installed one of the “Swiss” brand, 12 gram, CO2 cartridges (item #WX2-581926) and installed an empty magazine. I charged and fired the empty air pistol until the CO2 cartridge was empty. Afterwards, I very closely inspected the pistol, checked the function of the pistol and added high quality weapon oil, where I felt the pistol was rubbing or could improve the pistols function. I then enclosed the pistol into the kit and finished the same kind of inspection on the rest of the items I enclosed in her Field Box. Lastly, I would ask you to join me in thanking our friends at “Sportsmans Guide" for the many choices they make available at awesome prices.